Read about what our past customers have to say about us. "Excellent location - across from Sydney TAFE, easy walk to Central station, Chinatown & Darling Harbour. Cafe's close. Clean and very comfortable bed. Tastefully renovated. Friendly & helpful staff." "Comfortable and quiet location. Good breakfast menu. Easy access to tram and downtown. Friendly and helpful staff. It is more of a boutique hotel, but bedrooms and bathrooms were clean and spacious. Didn't notice anything off on the quality compared to larger hotels. Definitely would recommend especially if traveling for business." "The person who greeted me on arrival at reception was terrific. So welcoming and friendly and helpful. She set the tone so nicely from the outset even though i was only staying briefly for one night. Then the next morning I had to leave early for the airport and the staff in the café adjacent to reception were really helpful too and booked me a cab immediately and made me a nice coffee. The room was clean & modern." "My favourite hotel in Sydney - rooms are comfy and tastefully decorated, and the owners and staff are delightful. The on-site cafe is another little gem and not expensive. 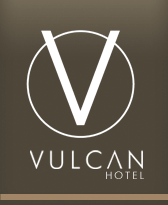 I highly recommend the Vulcan Hotel." "The room was a good size, the bed was really comfortable and I had a great night sleep, bathroom and room were very clean. Staff were friendly and check in was very easy even though we arrived after reception had closed. We were able to park in the street right out side hotel and we had left the parking before having to pay for it. Overall a great place to stay in a central location." "Room 402 on the top floor was extremely spacious and fantastic value for money. We found the hotel clean and well appointed. The highlight for us was the convenience of the location so close to Darling Harbour without the noise. Customer service was flawless with friendly multilingual staff. The front staff on reception was especially helpful on arrival at solving promptly a booking mistake we had made. Breakfast was tasty and reasonably priced with lovely table service from Anais. We will be back next time we stay in Sydney." "The Vulcan Hotel's accessibility to Darling Harbour just a few minutes walk away was very convenient. It is a lovely Boutique Hotel with a distinct feel of 'no rush' together with personalised intimacy. This was typified with family hotel owners providing one on one service for check in/ check out, and offering local travel advice. The Breakfast selection was lovely and simple located in an informal setting. While it did not provide the views and features that larger hotels spruik, I found value for money was very good." "I arrived at the Vulcan a bit apprehensive after some trip advisor reviews and I was so pleasantly surprised by this hotel. The reception staff was welcoming, helpful and friendly. I was a bit early on check in, no worries after a great lunch at the dumpling cafe (on the hotel recommendation) I was in my room early. The room was scrupulously clean with everything provided, a very comfortable bed and windows that could be opened for fresh air. Two mornings of my stay I opted for breakfast at the hotel. Both were of a high standard as was the service by Yves. And like another reviewer I'd stay here just for the poached pears. The location is fine. The walk from central station is an easy one - 10 -15 mins, easy walk to Darling harbour, powerhouse museum, and ferries. Easy walk to parks and Glebe. On leaving if you are going straight to the airport I recommend the airport shuttle, cheaper than the train and door to door. The staff will book it for you. Overall I found this to have been one of best experiences in a hotel. Would definitely stay here again when in Sydney." Comfortable and quiet location. Good breakfast menu. Easy access to tram and downtown. Friendly and helpful staff. It is more of a boutique hotel, but bedrooms and bathrooms were clean and spacious. Didn't notice anything off on the quality compared to larger hotels. Definitely would recommend especially if traveling for business.